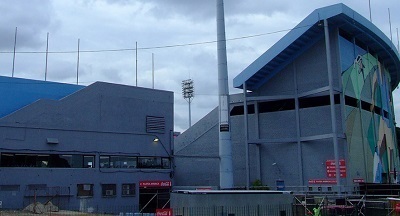 The Estadio Centenario, which hosted numerous concerts, is used by the national football team of Uruguay. They are nicknamed La Celeste (The Sky Blue). In 1930, the stadium’s record attendance of 79,000 was set in a FIFA World Cup match. The venue hosted the final of the first-ever FIFA World Cup in 1930, which was won by the national football team of Uruguay after defeating Argentina 4-2 in front of 68,000 fans. Argentina reached the final after defeating the United States and Uruguay reached the final after defeating Yugoslavia. Club Nacional de Football and Peñarol, the first Uruguayan football clubs with a South American football championship title, played numerous home games at the Estadio Centenario. They became the first sports clubs from Uruguay with 100,000 followers on their main social media page.